Usually I prefer to arrange flowers in groups of solid colors, however every once in a while a certain table setting will require an extra punch of color and creativity. It makes no difference if you pick flowers from the garden, buy them from your grocer, local florist or flower stand the technique is the same. 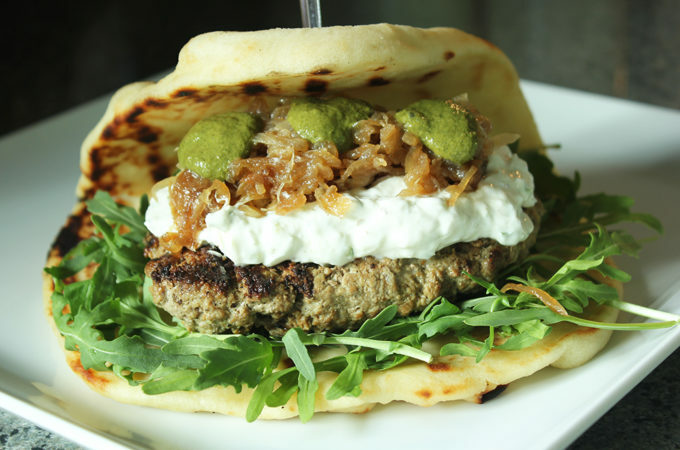 Pick what you like, what goes best with your table for the evening and have fun creating. 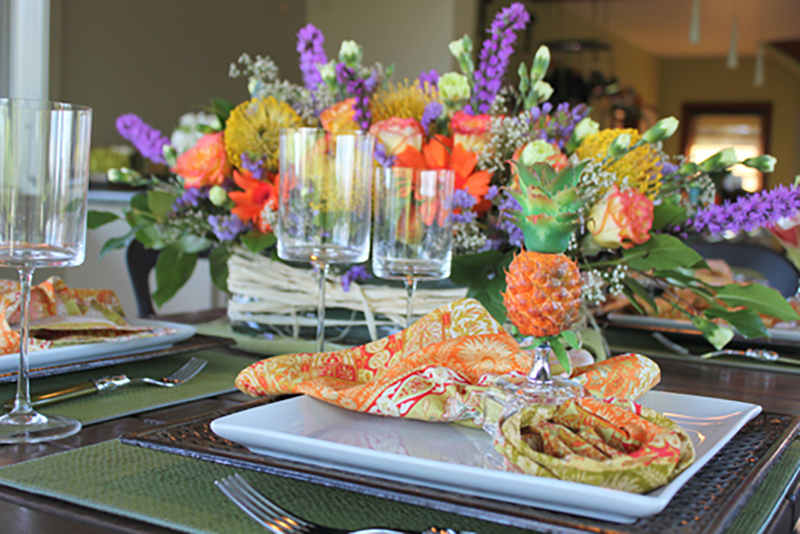 Below are some tips that I use when putting arrangements together for our dinner parties. 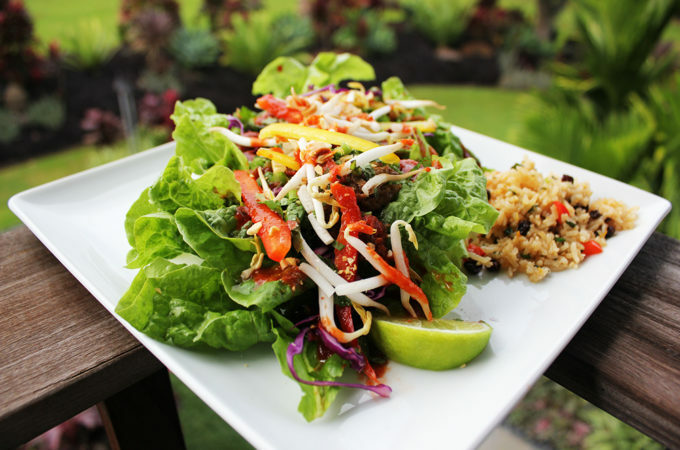 Let me show you, how easy it is to create the arrangement above! 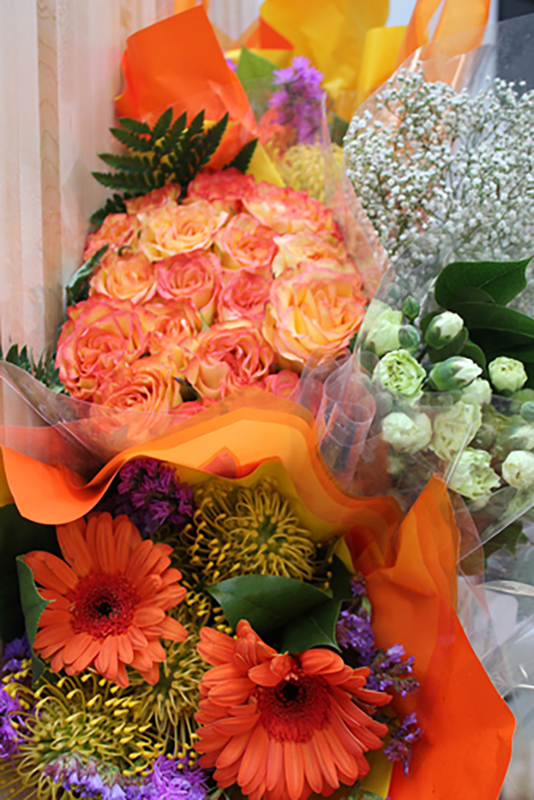 Open all bunches and separate flowers into the same colors and shapes. Choose a container and fill it with florist foam by cutting it to fit snuggly. If using decorative paper for added color make sure it is large enough to wrap up the sides of the container. Excess paper can be easily trimmed. 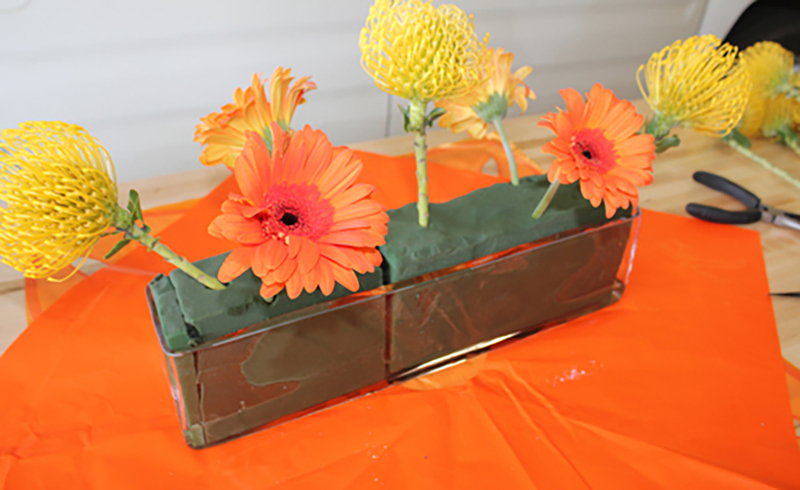 Florist Foam can be purchased by following the link and can easily be cut to size using a large kitchen knife. Once inserted into the container soak in water until saturated. The bright paper came wrapped around the flowers and can be used to cover the florist foam in the container, although not necessary. The paper can be secured to the container with raffia or ribbon. 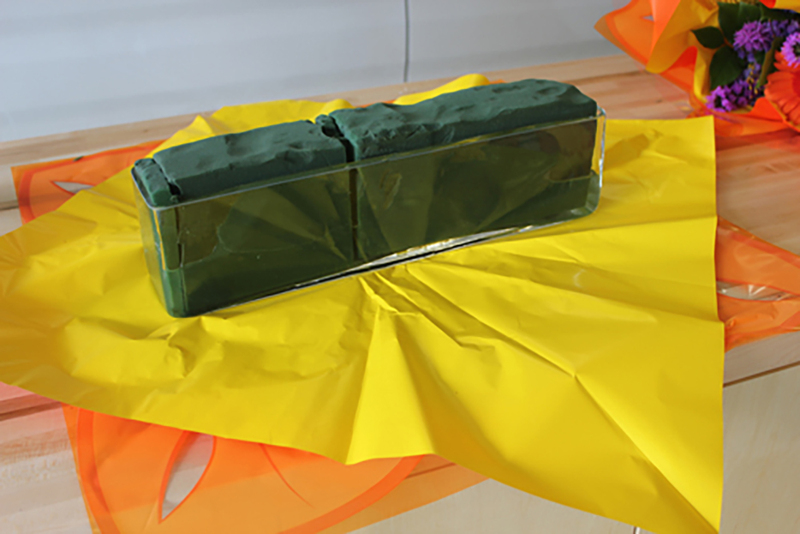 Colorful wrapping paper will work as well, just make sure you dry the outside of the container well before wrapping paper around the bottom and the sides. If you choose not to use paper, simply tie raffia around the container and the green florist foam will blend in. 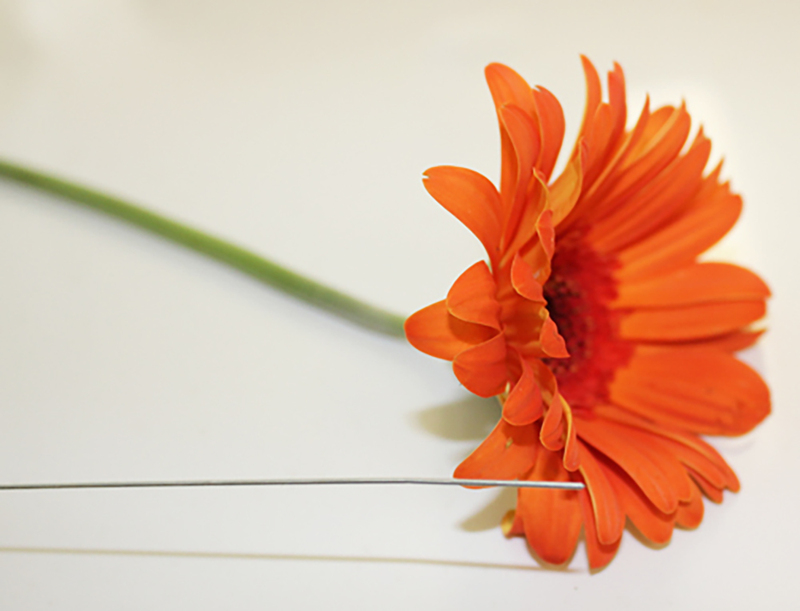 If you have a flower with a weak stem like a Gerber Daisy, insert Florist Wire up into stem and secure into the head of the flower, cut off excess. 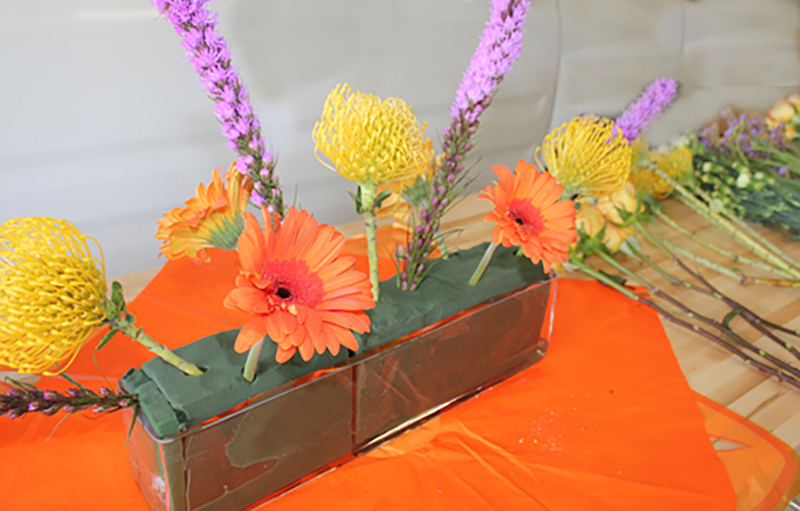 To begin to assemble your arrangement, take the largest, thickest stemmed flowers, and insert one by one on each side of the container. 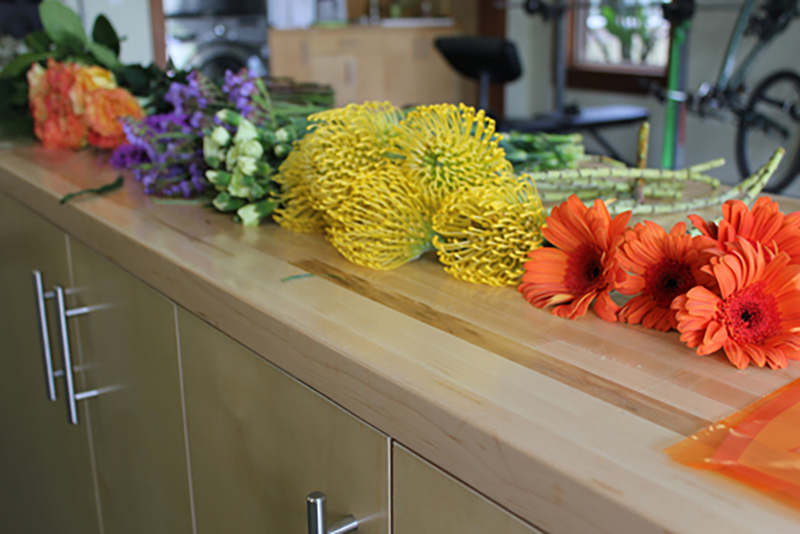 Consider color and symetry when placing the flowers. Whichever flower you place on one side, mirror on the other. 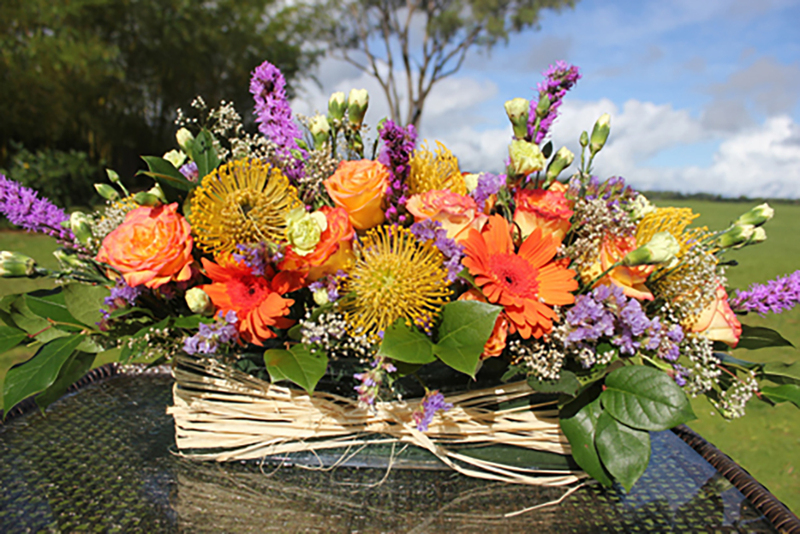 I started with the yellow Protea, added the orange gerber Daises, then purple stem flowers. Continue to fill in evenly, with orange roses, more purple then white flowers. 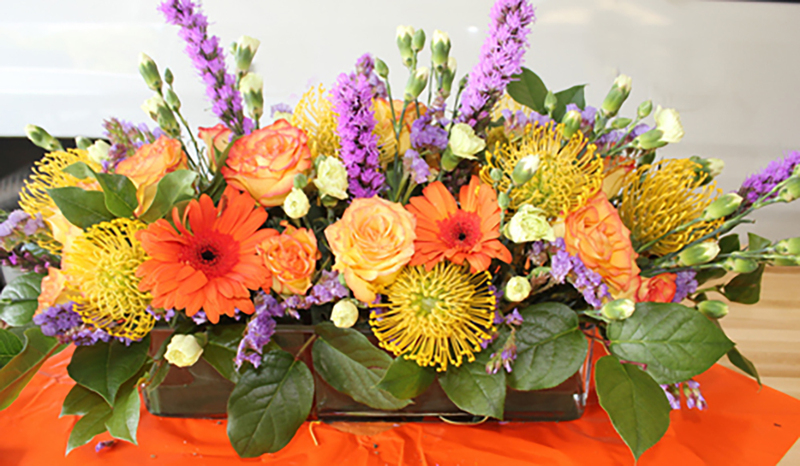 Once you have evenly filled in colors on all sides of the arrangement, take the leaves and fill in around the bottom. Babies breath, a very tiny white flower, which comes in most store bought bouquets will also help fill in empty holes. 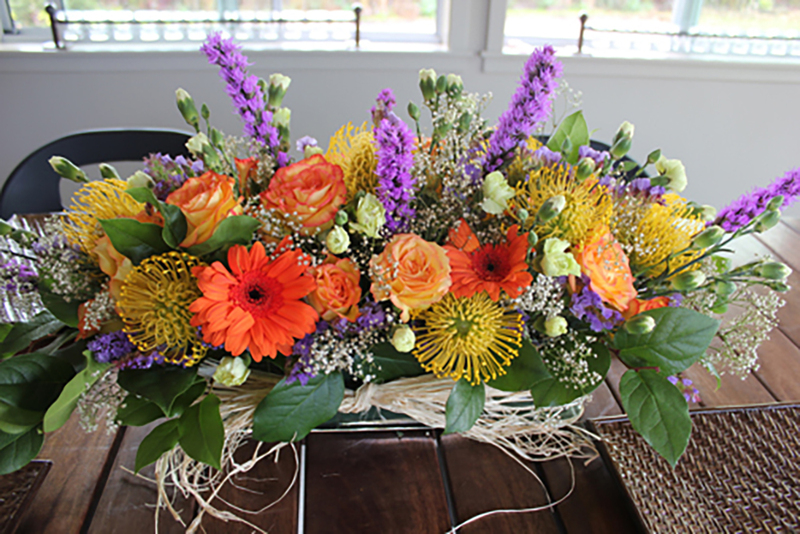 If you are planning on a large full container buy a generous amount of flowers, you will be surprised how many flowers it takes to fill an arrangement. Make sure you have plenty of water in your arrangement, and refill it daily. If using paper, fold it up around the container and secure with raffia or ribbon, It’s that simple! The flowers were carefully chosen to coordinate with the table top. Wow! Spectacular… Absolutely love it. Love your website, and everything you all do. The pictures are fantastic. What fun!! !